1.How do I add a photo to my users' profiles? WordPress is integrated with gravatar.com to display your globally recognized avatar. To assign avatars to your users or various admins, first make sure that each of your users has their own profile. You can create new user profiles in the “User” section of admin. Next, sign up for an account at http://www.gravatar.com using the same email address that was used to create the User profile in WordPress admin. Upload an image to gravatar.com. This gravatar image is now associated with that specific User and their image will appear next to the content they post. This image will also appear when the user posts comments on other WordPress blogs (as long as they use the associated email address when commenting). 2.How do I add/delete/arrange the widgets in the sidebar? In WordPress Admin, navigate to: Appearance -> Widgets. Drag the widget titles from the lists on the left side to the “Sidebar” sections on the right side. You can also drag and drop the widgets up or down within each Sidebar to change their placement above or below other widgets. 3.How To Assign Your Main "Portfolio" Page? Create a New page and assign it to “Portfolio” Template. Template selections are found on the right side of the Page Edit screen under Attributes. 4.How To Create a New Porfolio Item? 5.How Do I Add Images to My Portfolio Item Page? The main Portfolio image and the 4 smaller thumbnail portfolio images are all added in the “Custom Fields” section of the Post edit screen. Scroll down to “Custom Fields” and click on the drop-down menu under “Name” to view your pre-set options. Portfolio is what you will use for the large, main image. Use Thumb1 , Thumb2, Thumb3, & Thumb4 for the smaller images. Enter the URL to that image in the “Value” field. The pre-defined size of the main Portfolio image is 730W x 410H but if your image is smaller than this, upload it in its largest native size. For the 4 small thumbnail images (Thumb1-Thumb4) Upload these images as 730W x 410H (or their largest native size if smaller than 730×410). The theme takes the full-size image and automatically creates a scaled-down version to fit in these 4 portfolio thumbnail holders. 6.What are the common image dimensions for Modesto? Main Portfolio Image (custom field: portfolio): 730W x 410H – If your images is smaller than this, upload it in its largest native size. Thumbnails 1-4 (custom field:Thumb1-Thumb4) Upload these images as 730W x 410H (or their largest native size if smaller than 730×410). The theme takes the full-size image and automatically creates a scaled-down version to fit in these 4 portfolio thumbnail holders. 7.How do I replace the default logo? 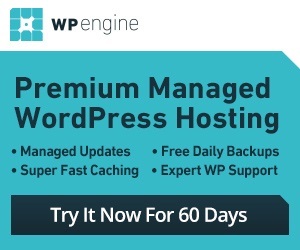 Simply overwrite the existing logo found under “wp-content/themes/YOUR THEME/img/logo-trans.png”. If you would like to find guideline dimensions, right click the current logo in your browser then select “Properties”. Please Note: For some of our themes that have multiple colors, the logo files are placed in the color folder inside the img folder. For example, in Huex, the blue logo is located in img/blue/logo.png, etc. 8.How To Assign Your Main "Blog" Page? Create a New page and assign it to “Blog” Template. Template selections are found on the right side of the Page Edit screen underAttributes. 9.How Do I Add Images to the Featured Posts Section? *You can use the WP Post Thumbnail Plugin to create the specific image sizes and insert their URL in to the Custom Fields automatically. Click here to view a tutorial on using the WP Post Thumbnail plugin. You can also insert the information manually by uploading each image size. For image sizes, please see the Common Image Dimensions FAQ for your particular theme. 1) Create a new category titled Featured or something similar. 2) In admin, navigate to the Theme Options Panel located under Appearance. Locate the drop-down menu under Featured Category. Select “Featured“. 3) Any posts you want shown in the Featured section, just assign it to the Featured category.